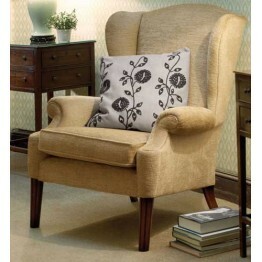 The Parker Knoll Regency chair which has wings and also a scoop fronted arm. Available in all the Parker Knoll fabrics as well as different wood shades. This chair has a reversible seat cushion and as it is a bigger size than some chairs is suitable for taller people, or someone looking for a higher back for head and neck support. Usual lead time from Parker Knoll is around 8 weeks, and we offer free home delivery across mainland England and Wales. The Parker Knoll Regency chair which has wings and also a scoop fronted arm. Available in all the ..